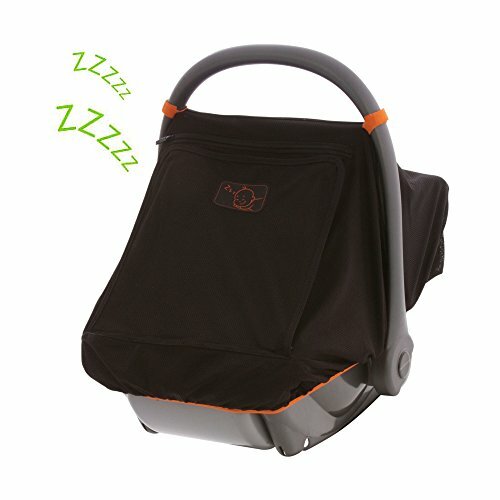 Do you need a car seat canopy that doesn't blow around and makes it easy to carry the car seat? Do you want a cover to stop well-wishers from touching your newborn or disturbing a much-needed nap? Doctors advise that babies under 6 months are not to be exposed to direct sunlight. SnoozeShade is approved by the Melanoma International Foundation - our mesh fabric blocks between 80 and 99% of the sun's UV. Protect your little one from bright lights, biting bugs, nasty germs, cats and wind/chill and light rain easily with SnoozeShade.